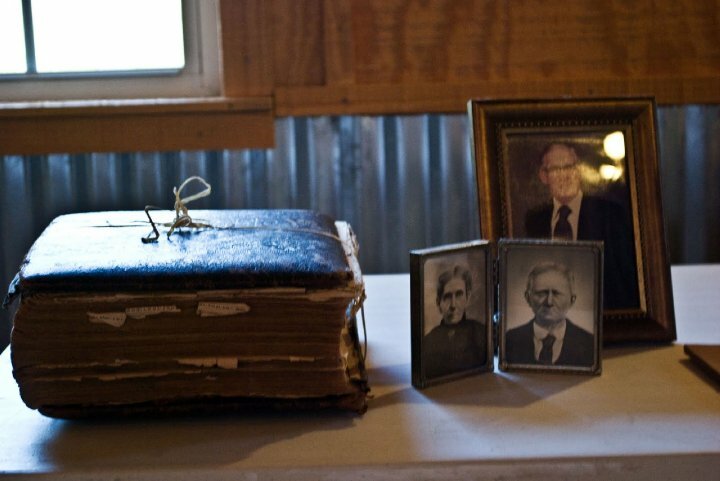 The above file contains photo images of the Bible Records of Alfred Doster Dunagan, who was the son of James Reid Dunagan and grandson of Ezekiel and Lydia Ann Brown Dunagan. I received the authenticated records from the Georgia State Archives. Susan Dunagan Martin brought this Bible to our first Dunagan Family Reunion. The above photo is the one I took of that Bible. Click on Certificate of Authenticity to see the records. I was born in Hall County Georgia where my ancestors have lived since the late 1790’s. My heritage is rich in histories and stories of my Dunagan ancestors and their related families. Being born and raised here has enriched my knowledge by tales that have been passed on from generation to generation. I have made it my personal quest to gather this knowledge and preserve it for our future generations. This entry was posted in Dunagan Family History and Genealogy and tagged Dunagan Family History and Genealogy. Bookmark the permalink. Hi Anthony, thanks for taking the time to read my post. 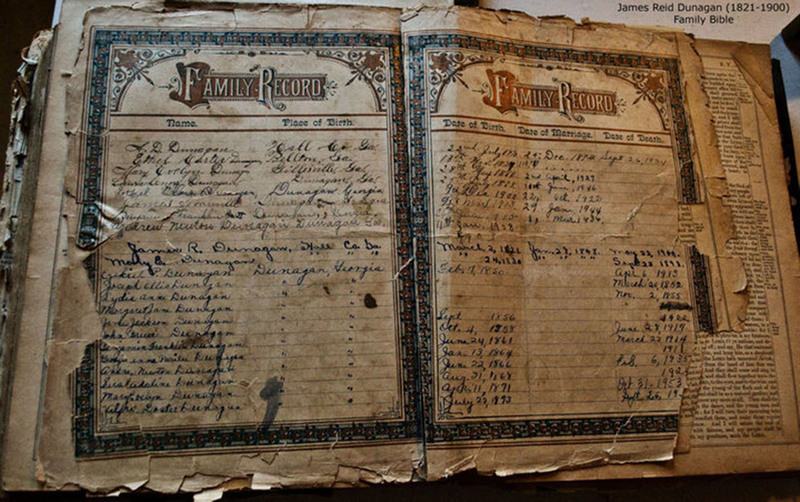 This Bible belonged to James Reid Dunagan’s family and all pages are posted. James was Isaiah’s younger brother. Louisa C. Dunagan, wife of John Marshall Quinn, is indeed the daughter of Isaiah and Susannah Eberhardt Dunagan. Hi Darline, I love your site. Thanks for documenting this fascinating family history. I’m the one that brought the bible to the first Dunagan reunion. It was in the house where I was raised, the original homeplace of James Reid and Aveline Dunagan who are my great grandparents. I still have it with me today and although it’s tattered and worn it’s very dear to me. Looking forward to more posts. Thanks Susan! I am so grateful that you shared the Bible with us that day. It is a priceless treasure to our family roots! Hi, I was looking at the bible and was curious if all of the pages were posted. My great-great grandfather married into the Dunagan family on December 27th, 1865 to Louisa C. Dunagan in Hall County, Ga. Louisa C. Dunagan is most likely the daughter of Isaiah Dunagan who lived with them in his later years per census record. Thanks for sharing.